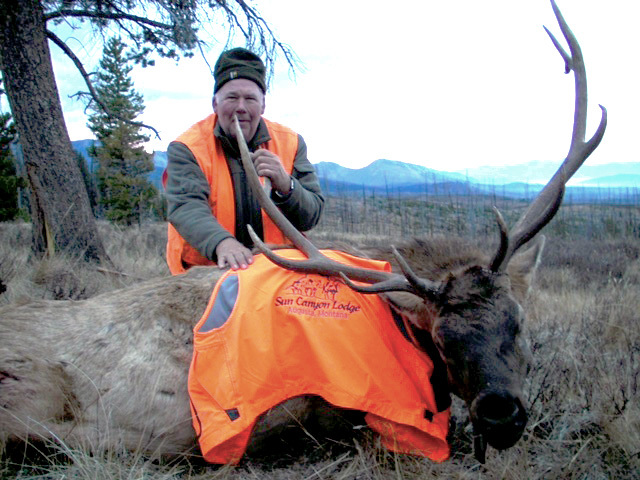 REQUIRED UNDER MONTANA LAW-Hunter's orange jacket or vest must contain no less than 400 square inches of orange . PURCHASE YOUR BOW STAMP BEFORE LEAVING AUGUSTA ($10). We DO NOT sell bow stamps or licenses at Sun Canyon Lodge. Prepare yourself with appropriate clothes and boots to protect yourself from freezing temperatures and inclement weather. Bring necessary equipment to winterize your vehicle: extension cord, heat, etc. DON'T FORGET YOUR HUNTING LICENSE! Kitchen towels, hot mitts, dish soap, etc. 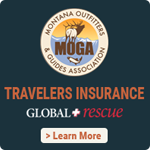 REQUIRED UNDER MONTANA LAW- Hunter's orange (vest or jacket) is required under Montana law and must contain no less then 400 square inches of orange. PURCHASE YOUR BOW STAMPS BEFORE LEAVING AUGUSTA ($10). We do not sell bow stamps or licenses at Sun Canyon Lodge.